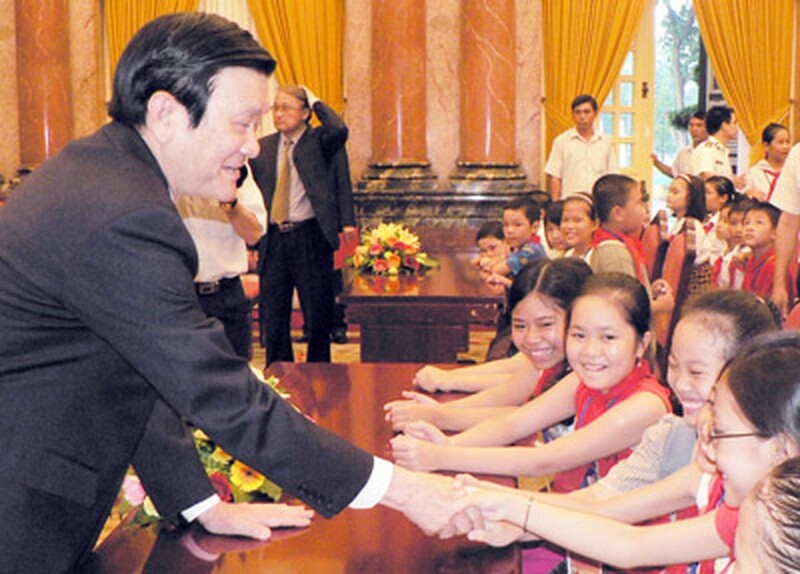 President Truong Tan Sang sent his greetings to the children and youth of Vietnam on the occasion of the Mid-Autumn Festival on September 8, extolling their achievements despite the difficulties of daily life. On the same day, President Sang presented gifts to 89 children of residents and soldiers on duty in the Truong Sa Islands, at the Presidential Palace on the eve of the Mid-Autumn Festival celebrations themed ‘Mid-Autumn connects with Love for Island and Sea’. Program highlights for the evening included comedy performances and a lantern parade. The celebratory events will also run in conjunction with many community activities such as paying tribute to President Ho Chi Minh at his mausoleum; visiting Uncle Ho’s Stilt House; visiting Ho Chi Minh Museum and the Vietnam Military History Museum. In addition to scholarships and gifts to 89 children in the program, 1,000 scholarships for disadvantaged students, who are children of soldiers on duty at the island, and funds to support construction of public works for children on the island, will be mobilized to improve the lives of children there. These activities aim to create a joy for the children on the islands and foster a love for their homeland and make them proud of their country’s Islands and Seas. It is hoped that the program will instill a deep sense of pride amongst those soldiers who have bravely defended the sovereignty of the islands and share their sentiments of love for the islands and the seas. 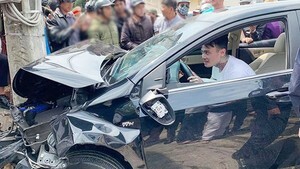 In related news, the highland province of Lam Dong presented more than 2,200 gifts including lanterns and moon cakes to disadvantaged children in the Lac Duong, Duc Trong, Lam Ha and Da Teh regions of the province on the occasion of the Mid-Autumn Festival. Over 1,400 disabled kids in sponsored social centres and orphanages received gifts.